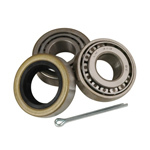 Navigate: StoreFront / Trailer Parts / Under Carriage / Hubs - Rebuild Parts / Bearing Kits / Bearing Protector With Bra 1.98"
Bearing Buddy® corrects this problem by filling the entire hub with grease. 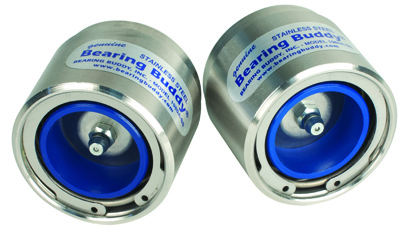 Most air that is trapped inside the hub will be expelled by the Bearing Buddy® pressure relief feature. Once the hub is full, the spring loaded piston in the Bearing Buddy® exerts a slight pressure to the grease inside the hub. 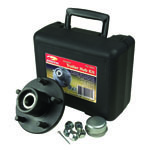 With the pressure inside the hub slightly higher than the pressure outside the hub, water and grit cannot be drawn inside. 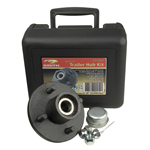 Fits hubs with an inner diameter of 1.98"